Female infertility refers to the inability of a woman to conceive. Infertility is still a worldwide reproductive problem. The cases of infertility in the female are equal to that of the male which means the ratio of female and male infertility is 50-50%. But when it comes to social criticism and blaming, it is always the female who has to take the burden and responsibility. The reports of the International Federation of Fertility Societies Surveillance suggest that IVF (explained below) has expanded globally to treat fertility but it is still not within easy reach of unprivileged people. Approx. 8 to 12% of reproductive age couples suffer from infertility issue and this figure goes significantly high in countries with fewer resources. What are IVF and ART? IVF (In Vitro Fertilization) – It is the most commonly used technique for conception for cases where female infertility cannot be treated with medicines. In this technique, the female eggs are extracted and are manually combined with retrieved male sperm in a laboratory. Then the embryo(s) is established in the uterus. The success rate of IVF procedure depends upon the age of the woman. IVF is an expensive treatment method and most of the health insurance plans don’t cover it. Thus, it remains as an option for people with monetary resources. Abdominal Diseases – Diseases like colitis and appendicitis can cause the swelling in the abdominal cavity which can lead to scarring and blockage in fallopian tubes. Infection – It is usually caused by sexually transmitted diseases, bacteria, and viruses. The infection causes inflammation and results in scarring and damage in tubes. In one such condition named Hydrosalpinx, the fallopian tubes occlude at both ends which accumulate fluid in the tube. Ectopic Pregnancy – It is a kind of pregnancy that takes place in tubes itself. With certain precautions and medical assistance, it can be pulled off but it is a significant life-threatening condition which may cause tubal damage. Previous Surgeries – It is one of the important reasons for tubal damage and disease. The surgery of pelvic and abdominal area can alter the way through tubes and prevent eggs from traveling. Congenital Defects – It is a rare condition where a woman may be born with abnormalities in tubes, which is generally linked with uterus irregularities. Success Rate – Fallopian Tubal issues can be treated only by Surgery method. On an average, it is approx. 30% while in some particular procedures, it can go up to 65%. It is the reason for approx 10% of total infertility cases in females. 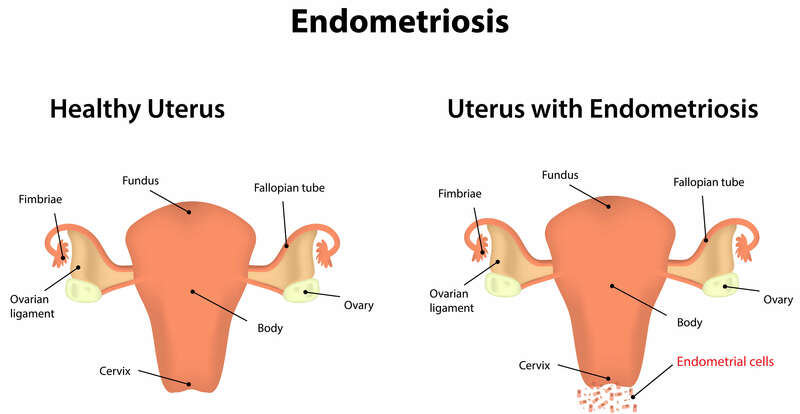 Around 30-40% cases who suffer from endometriosis are infertile. This issue happens due to the excessive growth of uterus lining. This growth can also be found in the abdomen, fallopian tubes, ovaries, and pelvic area. It may and may not contain symptoms which can be heavy, long and painful periods, rectal bleeding, urinary urgency, etc. The detection of this issue can be done with diagnostic laparoscopy. The treatment can be done by surgery to remove endometrial tissues or open fallopian tubes, or by fertility drugs, or by IVF. Success Rate – Laparoscopic surgery has a success rate of approx. 30% while IVF ranges to 40%. Immature Eggs Production – If the eggs are not mature there would be minimal chances for ovulation and absolutely no chances for conception. In this scenario, the ovaries do not produce normal follicles and so eggs do not mature. It happens in around 50% of cases. Hypothalamus Malfunction – Hypothalamus is a part of the brain which sends a signal to the pituitary gland. The pituitary gland then sends stimulation in the form of FSH and LH to start maturation of eggs. If the hypothalamus does not properly control the signal triggering process then it results in immature eggs. Pituitary Gland Malfunctioning – Pituitary has an important role in producing and sending FSH and LH to the ovaries. But if due to physical injury, tumor or chemical imbalance, the pituitary gland secretes too much or too low amount of substance then the eggs remains immature. Premature Menopause – This happens in some cases when the woman`s menstrual cycle stops before the age of normal menopause. It creates a problem in fertilization. The issue can happen in a woman with genetic cases or an athletic woman. Follicle Problems – This situation is known as unruptured follicle syndrome in which the follicle in the ovary does not rupture from the ovary. And thus proper ovulation fails to happen. Scarred Ovaries – This situation can happen in case of extensive or multiple surgeries, repeated ovary cysts can damage or scar the ovary. It prevents the eggs to mature properly and ovulation does not happen normally. Lifestyle and Behavioral Factors: A woman`s body is very sensitive and responsive to emotional and lifestyle changes. Certain practices might become so damaging that they can create complexities in conceiving a child. 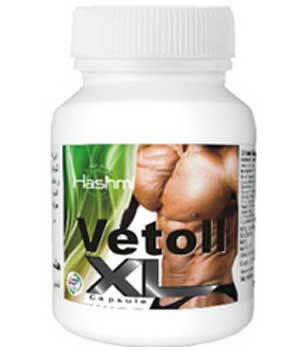 Diet and Exercise – A good healthy body always perform better in the long run. Good nutritional diet and right exercises keep the reproductive parts in their optimal function. Smoking – Smoking causes the risk of premature birth, miscarriage, and the birth of less-weight babies. If any of the partners smoke then it increases the chances of infertility in natural or IVF procedure. Alcohol – On the other hand, alcohol highly increases the defects in the birth process in a woman. The amount of alcohol in the blood can cause Fetal Alcohol Syndrome. Drugs – Drugs are bad not only for the mind but also for the whole body. Using drugs during pregnancy can bring retardation impact on the child while damaging its kidney. It also decreases the sperm count in man. Environmental Factors: Exposure to lead sources, exposure to radiation like X-ray to chemotherapy, impacts negatively on female fertility. Some chemicals found in the sterilization of surgical equipment, and in pesticides can provoke the miscarriage. The abnormal uterus causes approx. 10% of female infertility cases. It can happen due to cases such as adenomyosis, fibroid, and polyps. The lack of an adequate amount of Females cervical mucus becomes the reason for approx. 3% of infertility cases. The hormonal disbalance is the most common reason behind it. 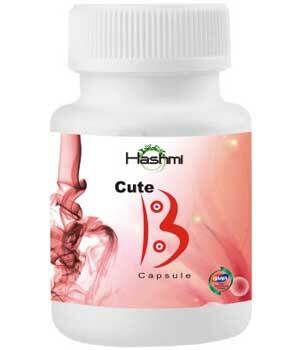 The natural and very effective treatment to cure female infertility is provided by Hashmi Pharmacy. Babytone infertility medicine is designed to treat multiple types of infertility causes (except those where surgery is necessary). It has all the herbs required to supplement and support the ovary and egg formation functioning. The medicine helps in proper ovulation and also clears the way of fallopian tubes to ensure an uninterrupted flow of eggs. It supplements the egg development and maintains the proper level of cervical mucus. Babytone female infertility treatment works to balance the hormones level in the body so that the proper amount of eggs are produced in the ovary. The medicine increases the chances of conception by 50% in just 2 months. 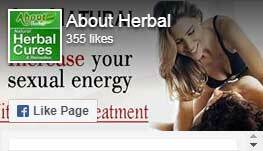 You can contact us here to clear any doubt or to know how to take the medicine. If you order for the medicine online, it is recommended that you talk to our specialists first. 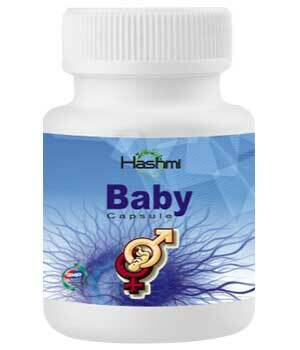 The medicine Babytone Capsule is used for male-female infertility cases. Call on the provided number to know the right prescription for you. Note: This blog is for informational purpose only. It does not claim for any doctor-patient relationship and the readers are advised to get a proper diagnosis by an expert doctor for their condition before coming to any conclusion.